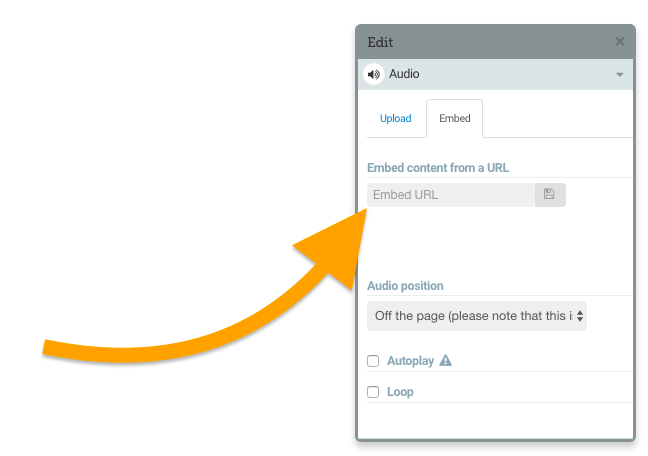 If you do not have an audio player on your page, see this video to learn how to add one. 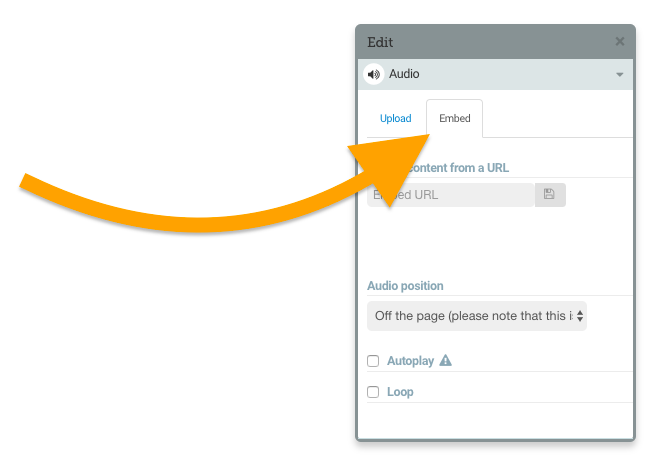 Go to the ‘Audio Position’ menu and choose where you would like your audio player to be displayed. If you don’t want a visible player choose ‘Off the page’. Now everything is in place, you will have to wait a few moments as your audio is encoded. 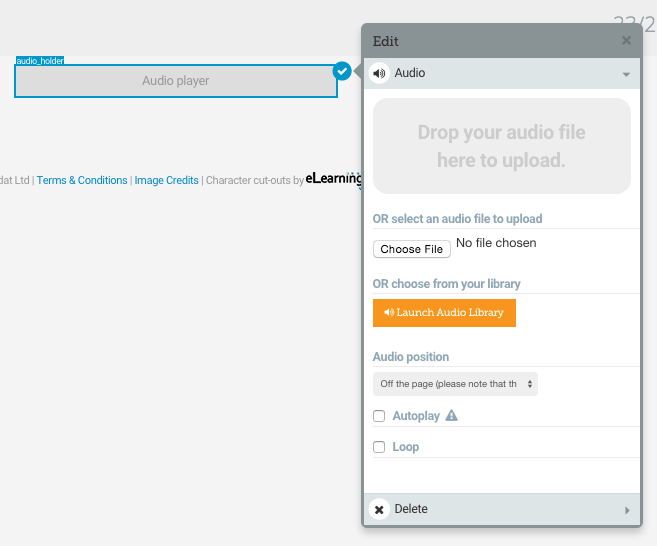 Elucidat supports audio files of up to 40mb, you can upload MP3, WAV, OGG. 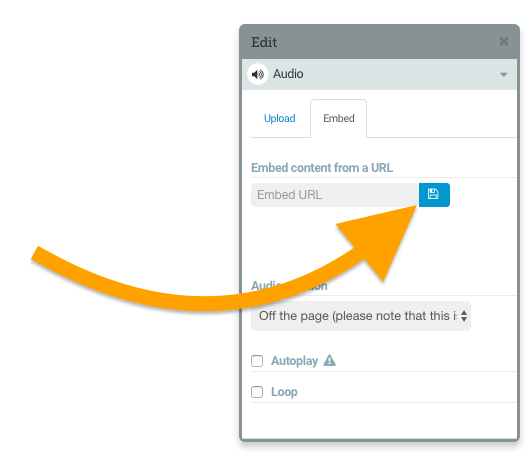 An alternative to uploading your audio is to embed it using the Audio Embed feature, this works great if your course is online and you want to use audio that exceeds the upload limit. We encourage using Mp3 files for the best experience with this feature. Please note that your audio will need to be on a server with a valid SSL certificate.